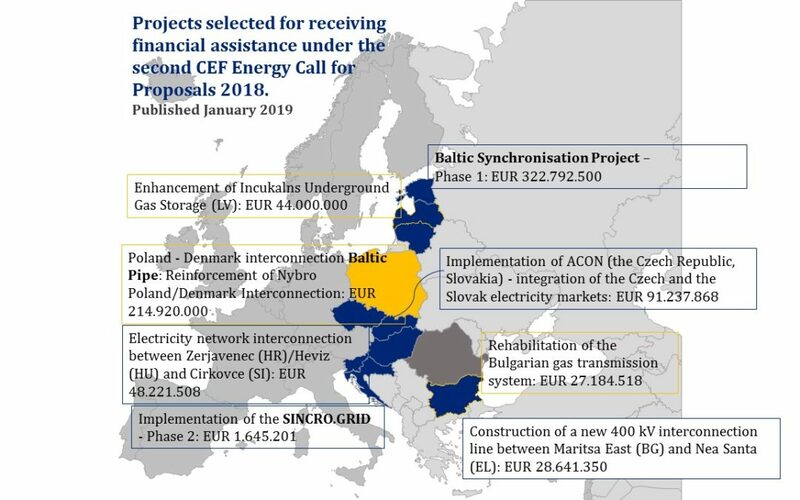 EU member states voted in January on a European Commission’s proposal to invest almost EUR 800 million in key European energy infrastructure projects (PCIs), 97% of which will go to Central and South-Eastern Europe. The EU funding comes from the Connecting Europe Facility (CEF), the European support programme for trans-European infrastructure. CEF provides financial aid for studies and works for 14 projects: seven for electricity, two for smart grids (€504 million), two for CO2 cross-border transportation (€9.3 million) and three for gas (€286 million). Within this list, eight projects will be implemented in Central and South-Eastern Europe with a total support of EUR 778 mln. Implementation of ACON (the Czech Republic, Slovakia) - integration of the Czech and the Slovak electricity markets: EUR 91.237.868. 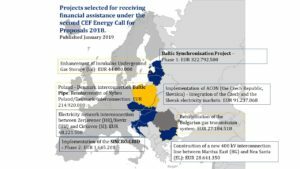 The CEF envisages a total budget of €5.35 billion for trans-European energy infrastructure for the period 2014-2020.The CEF-Energy already granted €647 million to 34 projects in 2014, €366 million to 35 projects in 2015, €707 million to 27 projects in 2016, and €873 million to 17 projects in 2017.